Everything is neatly packed on the inside. Proteins will always be separated on the bottom and closest to the ice packs. I did, however, have issues with my first and second shipments. Both times, the seal on the package that contained the chicken had leaked. 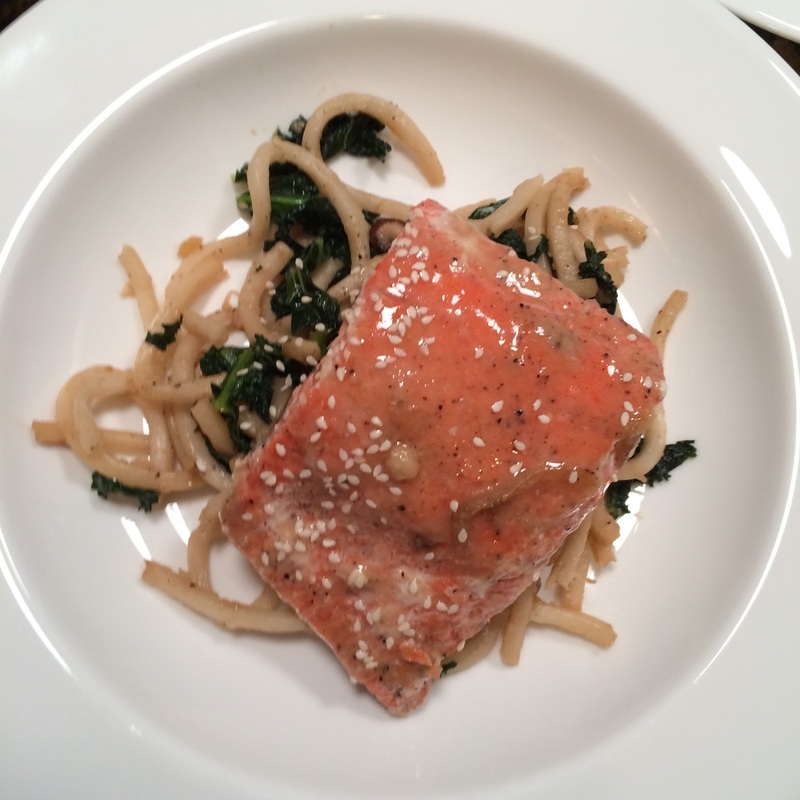 (No other ingredients were harmed.) Both times I emailed their customer service and received quick replies with apologies and credits to my account. I was happy with how they handled everything. 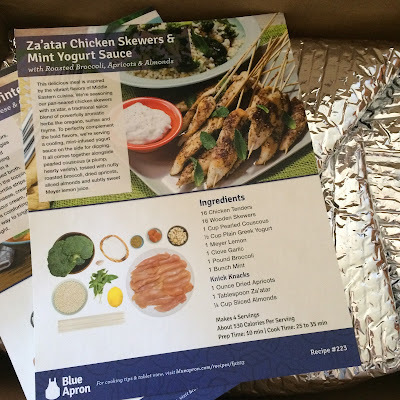 Here's the link to Blue Apron in case you want to check it out! 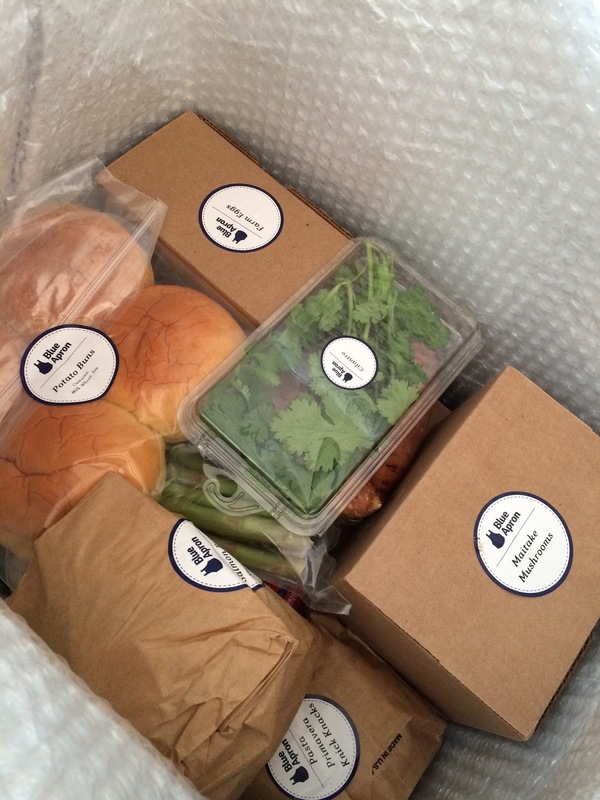 *Blue Apron has no idea who I am. I paid for this service in full and do not receive anything in return for this post or if you sign up. I just like letting you know about fun things!